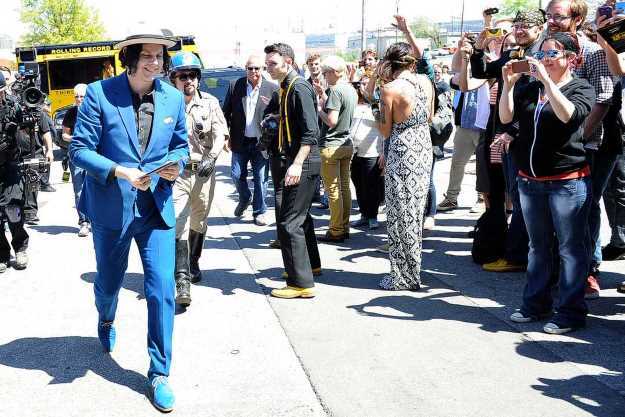 It's been 10 years since Jack White set up shop in Downtown Nashville with his revolutionary Third Man Records store, label headquarters and performance space. Ahead of Third Man's massive 10th anniversary party this Saturday - with the first performance from White's band The Raconteurs in eight years - we're looking back at 10 defining moments for the label's Nashville headquarters. 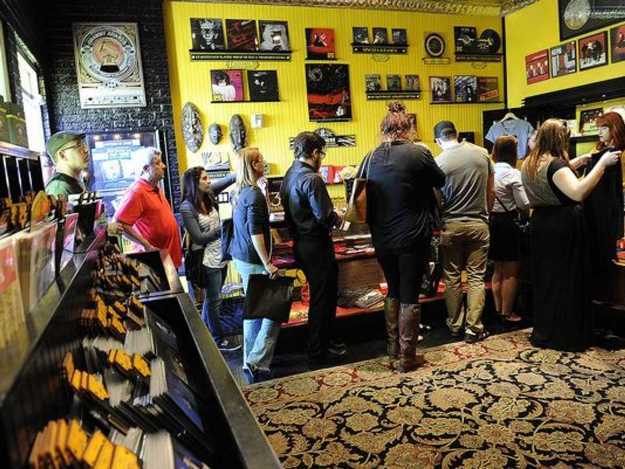 On March 11, 2009, White invited roughly 100 guests to the top secret opening of Third Man Records in Nashville. But that wasn't the only big reveal: His new band The Dead Weather played their very first show in the building's "Blue Room." White also played their debut album "Horehound" for guests that night, and laid out his vision for the space and label. "If one of the bands working here says, 'Jack, there's a great band that played at the End on Friday night, you should check these guys out,' Saturday morning, they can come to Third Man Studios and we can cut a couple of songs," he said. "They can come back to the photo studio and we can take a photo of them. We can cut the acetate and run it down the block, and within three weeks, we can have a thousand copies of a 45 that they can sell at shows." Three weeks? Try four hours. In 2014, White and Third Man hatched a plan to make the "World's Fastest Released Record." On the morning of Record Store Day, he and his band recorded two new songs live in Third Man's Blue Room in front of an audience, immediately transported the direct-to-acetate recording to Nashville's United Record Pressing plant, printed vinyl singles and returned them to Third Man Records for immediate sale to fans. They did it all in three hours, 55 minutes. In 2011, Third Man took the food truck concept to the record business with the "Rolling Record Store." Over the years, the bright yellow truck has brought Third Man wares to festivals and pop-up shops around the country. In 2013, Third Man brought instant vinyl recording to the people with the Third Man Record Booth. For $20, visitors can step inside the phone booth-sized space and make their own instant record. And the booth isn't just for amateurs: Neil Young made a whole album out of booth recordings in 2014. Weezer, Weird Al and Richard Thompson have cut tunes in it, too. In 2012, 1,000 flexi-disc records of White's song "Freedom at 21" were attached to bright blue helium balloons and released from Third Man's downtown Nashville headquarters. Only a few were recovered, with reported landings in southern Tennessee and Alabama. Four years later, Third Man would soar even higher, with their successful attempt to play the first phonographic record in space - or "near-space." Their team designed a "space-proof" turntable, which a high-altitude balloon carried 94,413 feet into the Earth's upper atmosphere. In 2015, an acetate recording of the first songs Elvis Presley ever recorded sold at auction for $300,000 to an unnamed bidder - who turned out to be White. 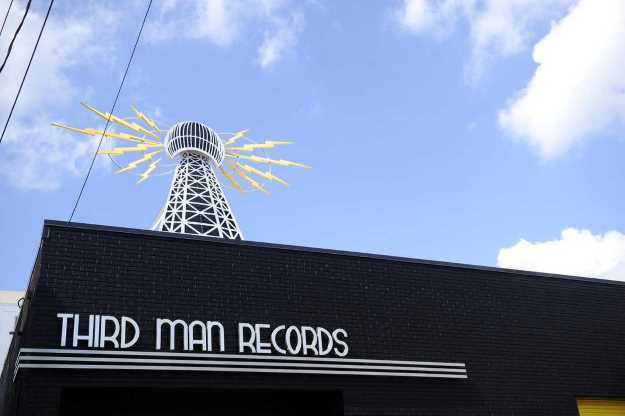 After a painstaking digital transfer at the Country Music Hall of Fame, Third Man released a single of the Elvis Recordings on vinyl for Record Store Day. Launched in 2014, Third Man's publishing imprint has put out a distinct array of poetry, art, fiction and children's books. The latter included White's own "We're Going to Be Friends." Third Man's "Blue Room" only fits a couple hundred fans, but several giant names have been drawn to perform there, often at the last minute, or under tight secrecy, or both. That included pre-Bonnaroo concerts from Pearl Jam and Conan O'Brien in 2016 and 2010, respectively, and comedy sets from Chris Rock and Aziz Ansari. Last year, U2 skipped the Blue Room and set up in the storefront, recording a few live performances as fans listened outside. In 2015, White brought Third Man back to his hometown of Detroit with the opening of a second retail location, Third Man Records Cass Corridor, which includes its own vinyl record pressing plant. Though Third Man had enjoyed chart success with White's solo albums, side projects and productions, the triumph of Margo Price's 2016 solo debut "Midwest Farmer's Daughter" seemed to signal an exciting new era for the label. They've since signed fellow Nashville artists Lillie Mae and Joshua Hedley.